Wilson Medical Center is excited to announce that Elesha Draeger, APRN-C and Hali Schultheiss, APRN-C, have joined the Cherryvale Family Medicine clinic and began seeing patients at the clinic on March 18, 2019! 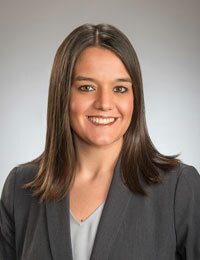 Elesha Draeger, APRN-C, formerly an Oswego Hospital provider, joins us as a Family Nurse Practitioner. Elesha has a passion to promote the health and the well-being of the community, and is especially interested in family medicine, disease prevention, wellness coaching, hormone replacement therapy, and advanced wound care. She is a graduate of Pittsburg State University and is married with two children. 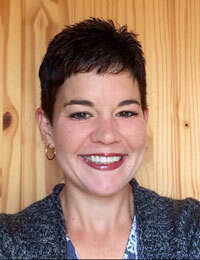 Hali Schultheiss, APRN-C, a native of the Cherryvale/Independence area, also joins us as a Family Nurse Practitioner. She grew up in the family owned restaurant, Down Home in Independence, which sparked a love of caring for others. This passion for people led her to pursue a career in medicine, and she is looking forward to building her practice and caring for patients in our community. She is a 2018 graduate of Bradley University in Peoria, IL and is especially interested in family medicine, obstetrics, women's health, adolescent health, pediatrics, and reproductive health. Hali is a married mother of 4 - ages 2 to 13 - and a lifelong resident of Independence. The Cherryvale clinic first opened its doors at 216 East Fourth Street, with Dr. Charles L. Empson, as the owner and operator. In 1992, Dr. Empson sold the practice to Mercy Hospital in Independence, Kansas. In February of that year it became a rural health clinic, and Sharon Shoop was hired as the office manager. In 2008, the clinic moved to Main Street in Cherryvale, where it is currently located at 203 W. Main. On December 31, 2015, Mercy Hospital relinquished ownership and contents to Wilson Medical Center, which now owns and operates Cherryvale Family Medicine.